In DreamWorks’ upcoming 3D-animated feature movie, “Penguins of Madagascar,” Benedict Cumberbatch and John Malkovich personify their characters to the hilt as wolf Agent Classified and villainous octopus Dr. Brine aka Dave respectively along with the world’s most famous spy penguins - Skipper, Kowalski, Rico, and Private. This 3D computer-animated feature movie follows the penguins in the tradition of the three Madagascar movies where they catapulted to stardom as the scene-stealing spy quartet, the movies have already earned close to two billion dollars since their debut in 2005. “Penguins of Madagascar” follows their awesome adventure as they join forces with animal welfare task force North Wind, lead by Wolf-turned super-spy Agent Classified. Cumberbatch’s agent is a cool, serious, level-headed professional using hi-tech gadgetry to track down and capture his slippery adversary, Dr. Octavius Brine - voiced by the legendary John Malkovich – and stop him from destroying the world as we know it. 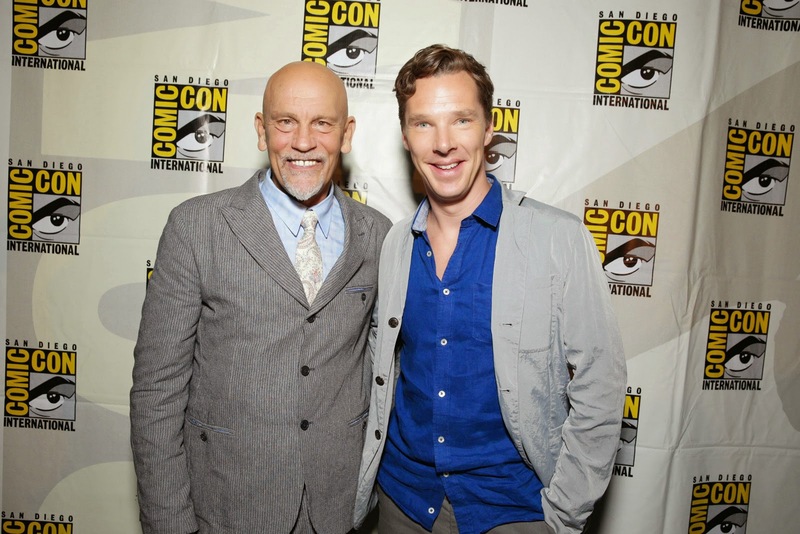 Featured in this special feature video are Cumberbatch and Malkovich quizzing each other’s characters in the movie. A DreamWorks Animation feature movie, “Penguins of Madagascar” opens November 26, 2014 in cinemas from 20th Century Fox to be distributed by Warner Bros. Watch the video below.